A great opportunity to buy this attractive four floors Grade II Listed retail building is of traditional brick construction and provides generous accommodation throughout extending in total to approx. 1,834 sqft (170 sqm). The ground floor retail area extends to approx. 454sqft (42.19 sqm) and benefits from a fully glazed frontage together with store rooms and staff facilities to the rear. Furthermore there are an additional three floors providing generous accommodation which is suitable for a variety of uses. 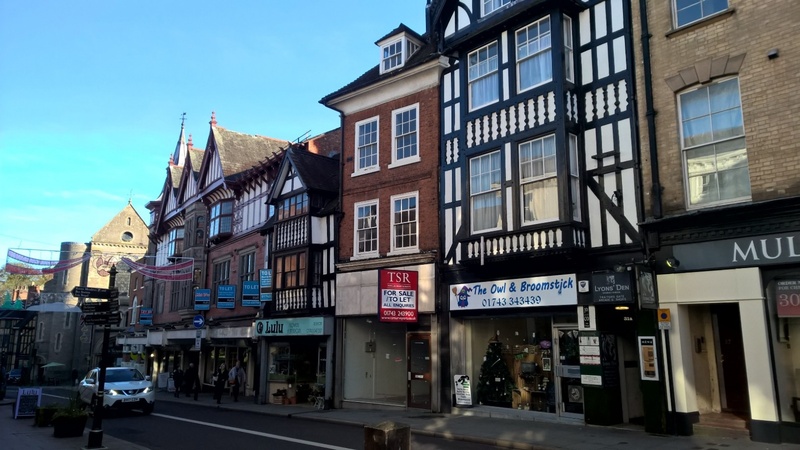 The property occupy a prominent retail location within Shrewsbury Town Centre fronting Castle Street, the main vehicular route through the Town Centre from the North West. The property is situated close to a number of national multiples including Marks and Spenser, Waitrose Local and is within a short walking distance of the main retail area of Pride Hill and the two covered shopping centres. The Library, Shrewsbury Castle and the Railway Station are also situated close by. Shrewsbury is the historic County Town and main administrative centre of Shropshire and is located at the intersection of the main A5 and A49 trunk roads approximately 12 miles west of Telford, 45 miles North West of Birmingham and 45 miles south of Chester. Please call 020 7281 6050 or e-mail info@archwaystudios.co.uk to book a viewing.